Nederlands Zilvermuseum Schoonhoven, Kazerneplein 4, 2871 CZ Schoonhoven. The Schoonhoven Silver Award 2018 continues to be devoted to the goal of reaching a wider audience and inspiring artists to test and explore the boundaries of their traditional art and craft. 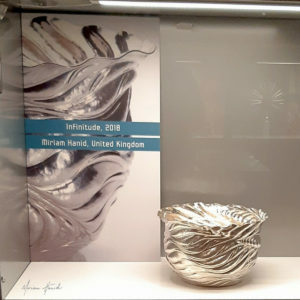 Miriam was shortlisted for the Silver Award. 6 October 2018 – 19 May 2019.
International Terminal, Main Hall, San Francisco International Airport. 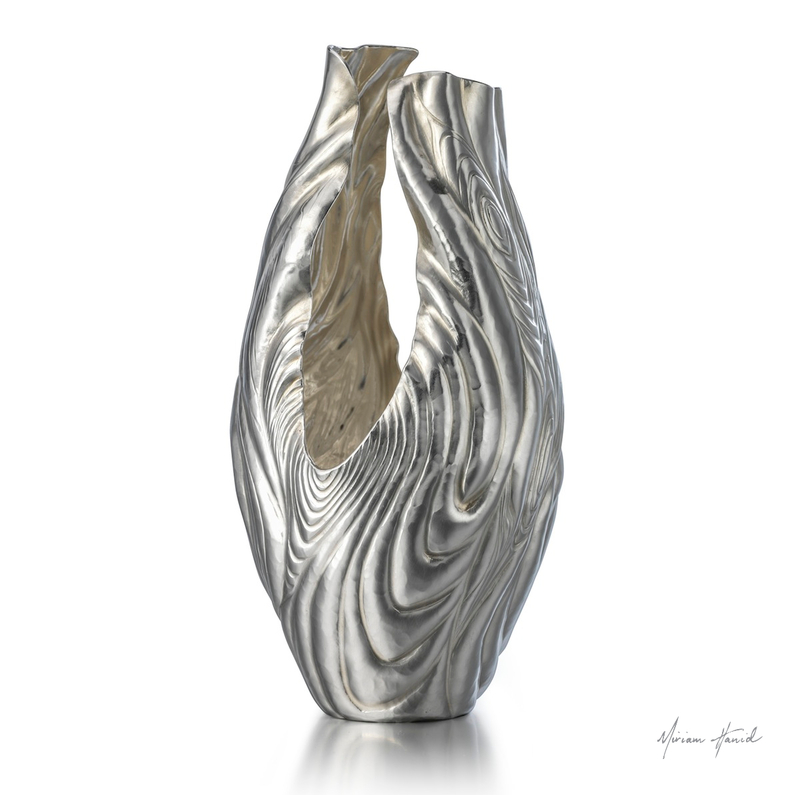 The largest ever exhibition of modern British silver is being staged in the US. A Sterling Renaissance: British Silver Design 1957-2018. Nearly all the 100 or so pieces are from The Pearson Silver Collection, the largest collection of post World War II and contemporary British silver in private hands. It shows the abandonment of a Scandinavian influence in favour of a renaissance of British modernity. The majority of the 35 designer-silversmiths represented are still working today.